RVs are often seen as symbols of freedom and youth. Wind in your hair, going where you want with the convenience of bringing your home everywhere you go, are precious experiences of a treasured lifestyle. Redecorating a small space can be stressful, but it doesn’t mean you can’t have the pleasure of transforming your little nest into a warm and comfortable home. We have everything you need to create a zen and dreamy place. Scandinavian design is what’s dominating the market! If you pay attention, you’ll start noticing northern ­inspired decor everywhere, so why not bring it into your RV as well? Your main goal is definitely simplicity, closely followed by aesthetic and bright colours. Whether it’s the washroom, kitchen or bedroom, don’t hesitate to play with light colours and dark tones. 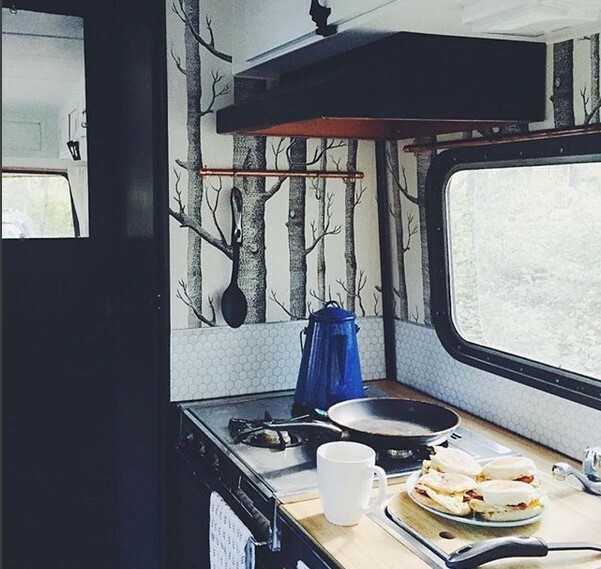 Here’s some inspiration to transform your little house into a paradise on wheels! Wallpaper enthusiast? Try mixing patterns and tiles for a grand result! 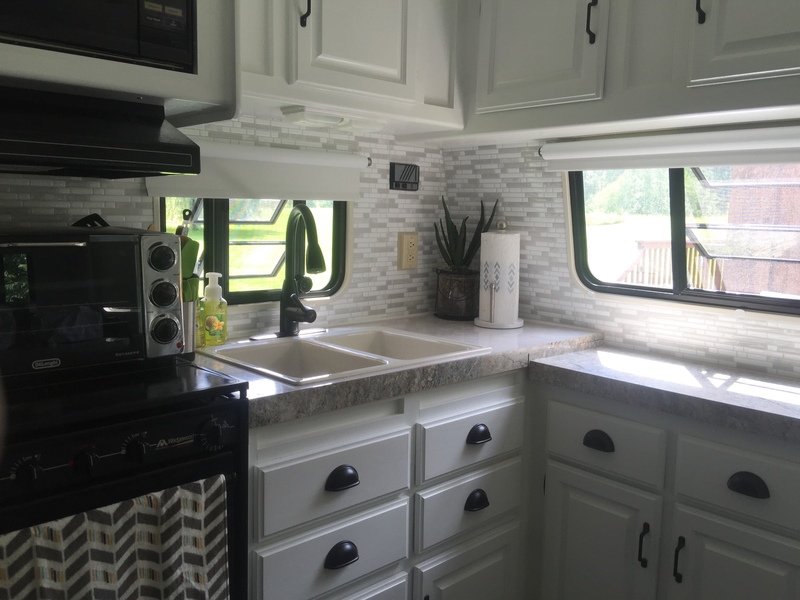 All Smart Tiles work in small or large RV spaces. 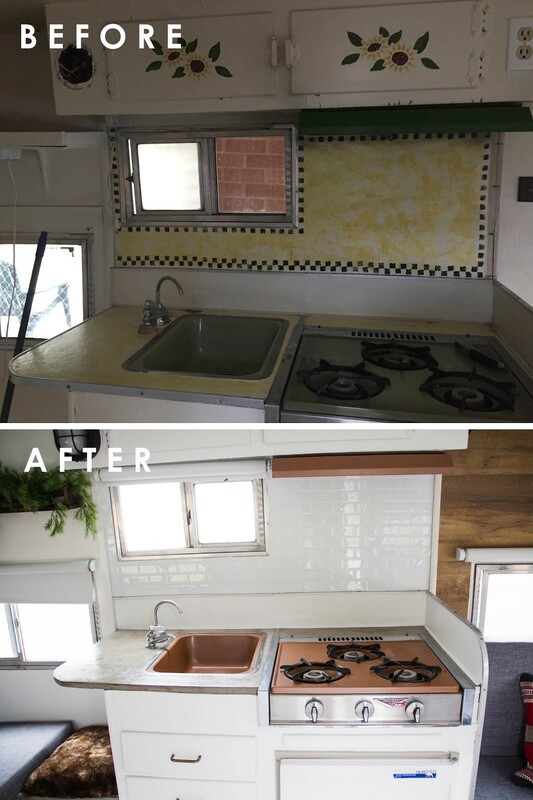 Check out this installation video from RV Circus to master all the tricks for your backsplash . In the second video, you can also see how our product is doing one year after the installation. Spoiler alert, it looks perfect !